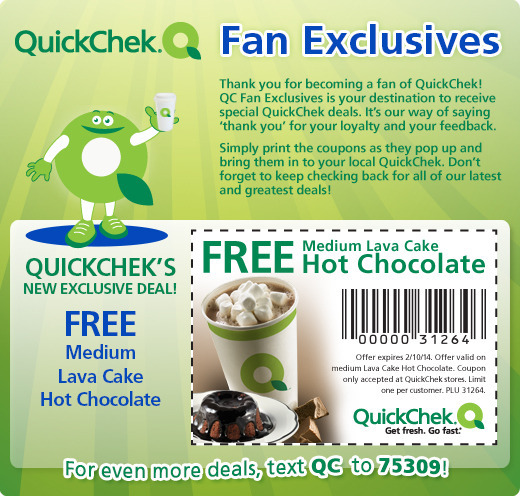 Get a free Medium Lava Cake Hot Chocolate @ QuickChek. Just click the link below to go to the coupon to print it. 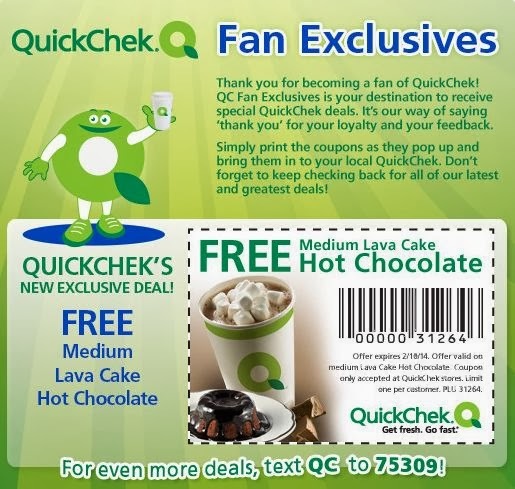 Once you print the coupon take it to your nearest QuickChek to redeem it. This coupon is valid until Feb. 10th, 2014.